Films from Hungary were screened altogether nearly on 1100 occasions in 70 countries in 2008. 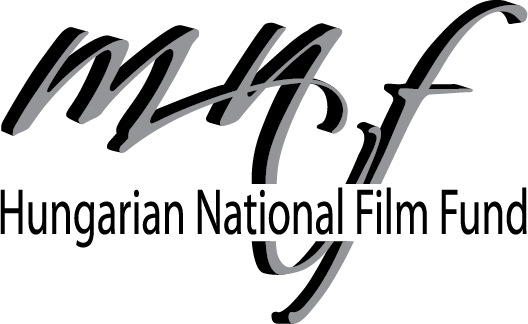 At different international film events the Hungarian filmmakers received 137 awards and recognitions, including 22 main prizes. In DELTA Orsi Tóth radiates a profound intensity that impressed the jury. She brings her unique gifts as an actress to each new role and endows her characters with a special intensity. - commented its decision the Shooting Stars 2009 Jury. Artistic Achievement Award of the 49th Thessaloniki film festival went to Szablocs Tolnai for THE HOURGLASS, a Hungary-Serbia-Montenegro coproduction based on Danilo Kis works. After French, Canadian, Brazilian, Danish and Italian triumphs, László Nemes’ short film, WITH A LITTLE PATIENCE won Main Prize at the Spanish international showcase held in Badalona. Benedek Fliegauf has been awarded at the Lima showcase, while Kornél Mundruczó and Karchi Perlmann received honours at the Festival of East European Cinema in Cottbus. ESZTER’S INHERITENCE, a feature film by József Sipos won the Prize of Salerno City at the 62nd Salerno International Film Festival, one of the oldest cinema fest of the globe. Tamás Almási’s feature film, MARIO THE MAGICIAN was selected to participate in the competition program of the Cairo IFF. The only A-category film event of the Arabic world also presents the first feature film of Attila Till, PANIC. The Best Hungarian Short Film of 2007 is Available Online: TRIPE AND ONION is on Daazo.com - The European Short Film Centre. Targu-Mures ALTER-NATIVE, Warsaw Jewish Film Festival and Maribor DokMa awarded Hungarian filmmakers this weekend. Ágh Márton production designer of the latest Kornél Mundruczó movie, DELTA, has been nominated for EFA’s Prix d’Excellence. Recent features by Csaba Bollók, Attila Gigor, Ágnes Kocsis, István Szabó and György Szomjas enrich this years Kolkota IFF’s selection. 2nd Prize and Best Sound Award from Chile and the Italian Fano Festival's main Prize went to László Nemes' WITH A LITTLE PATIENCE. The Italian acknowledgement was the 15th foreign recognition given to László Nemes's first 35 mm short. Anna Faur's diploma film, GIRLS was awarded Actua Films Prize at the "Cinéma Tous Ecrans" in Geneva. 17 featuress are competing for the Main Prize in San Luis International Film Festival's competition program, THE SUN STREET BOYS, directed by György Szomjas being one of the contenders. Zsolt Anger, leading actor of THE INVESTIGATOR, won the Yves Montand Award given to the best young actor at the MOLODIST Kyiv International Film Festival. Mundruczó's DELTA is in competition at North America's oldest movie showcase, while TRANQUILITY by Róbert Alföldi is competing for best first feature's Gold Hugo in Chicago. GOOD, Vicente Amorim's film, shot in Hungary, will be screened at the prestigious fest's closing ceremony on the 29th October. DELTA by Kornél Mundruczó will be screened for the first time in England, at the 52nd London Film Festival, which kicked off on 15th October. Kornél Mundruczó will introduce his film personally at the festival on the riverside of the Thames. The 24th Warsaw IFF screens THE INVESTIGATOR by Attila Gigor, SONG OF LIVES by Csaba Bereczki and five shorts from Hungary. Saint Jean de Luz festival's Best Actor Award went to Peter Haumann for ADVENTURERS. Tibor Szemző's THE GUEST OF LIFE - ALEXANDER CSOMA DE KŐRÖS has won the Saraswati Award at the 6th Bali International Film Festival. The opera version of the film will be presented at the Palace of Arts in Budapest on the 24th October. Movies by Ferenc Moldoványi and Kornél Mundruczó represent Hungary at the 13th Pusan IFF, the most significant international film showcase in Asia. WITH A LITTLE PATIENCE by Laszlo Nemes has won the Prix UIP Drama, in Northern Greece. The prize of the United International Pictures means an automatic nomination for the European Film Academy’s 2008 Short Film Award. Béla Paczolay's first feature, ADVENTURERS, won the Czech Television Award for Best Feature at European Film Smiles festival held in Mlada Boleslav, Czech Republic. ANIMANIMA international festival held in the Serbian Cacak awarded Géza M. Tóth's ERGO and Alexei Alexeev's KJFG No5. Milano Film Festival presents Igor and Ivan Buharov's SLOW MIRROR and Hungarian shorts directed by László Csáki and Márton Vécsei. The gala screening of Béla Tarr’s latest feature, THE MAN FROM LONDON is being organized recently in Paris, Lyon and Marseille. The Simenon adaptation by Béla Tarr will be released in the French theatres throughout the country on 24th September. 2008 EFA list announced: Kornél Mundruczó's DELTA is among the 44 titles on the European Film Academy's pre-selection list for upcoming European Film Award nominations. 23rd International Odense Film Festival's Grand Prix went to WITH A LITTLE PATIENCE, a short by Laszlo Nemes from Hungary. The grandiose Montreal cinema event "offering the world" showcases József Sipos' Sándor Márai adaptation, Ferenc Moldoványi's creative docu-fiction and Attila Gigor's surprise thriller. The 23rd Odense Film Festival presents shorts by Tomek Ducki, László Hegedűs 2, László Nemes and András Salamon in its international competition programme selected from more than 800 entries. 2 Hungarian features, 3 shorts and 2 documentaries compete for the Heart of Sarajevo Awards at the cinema celebration beginning on 15th August in the Bosnian capital. Attila Gigor's first feature, THE INVESTIGATOR starts a one-month Germany tour during which Fantasy Filmfest presents Hungary's Best Genre Movie 2008 in eight German cities. – CATcher-CAT CITY 2 will be screened in South Korea by the Busan International Kids' Film Festival. FIRST LOVE, the 20-minute film directed by Ildiko Enyedi will be premiered in Auteur Shorts special program featuring the last works of filmmakers already well known to the Locarno audience. - Orsi Tóth, Benedek Fliegauf and Csaba Bárdos have been invited to the juries of the prestigious film event kicking off on 6 August. 28th San Francisco Jewish Film Festival's Freedom of Expression Award went to media artist Péter Forgács "for his almost voyeuristic and random resurrection of lives, in which the Hungarian filmmaker blends fictional story lines into home movies of European Jews". Zoltán Szilágyi Varga’s coal drawing film etude took Jury's Prize at Animation and Cartoon Festival in Dervio ended 26 July. László Nemes' WITH A LITTLE PATIENCE took Best Live Action Short Film Award at Montreal FanTasia film festival ended 21 July. Attila Gigor's THE INVESTIGATOR was recognized with Special Mention of the Grand Jury and FICC's Don Quijote Prize at the 43rd Karlovy Vary IFF. Best Short Documentary's Crystal Globe went to Gyula Nemes for LOST WORLD while BAHRTALO! directed by Róbert Lakatos was awarded the Europe Cinemas Label at Central Europe's most prominent film festival. The 43rd edition of the Karlovy Vary IFF shows altogether seven Hungarian films including the big surprise hit of the latest Hungarian Film Week, Attila Gigor's THE INVESTIGATOR in the main competition. Era New Horizons IFF opens with composer and director Tibor Szemző's fim opera, CSOMA, on July 17 in the Wroclaw Opera. OPIUM, OWN DEATH and SLOW MIRROR have been selected to compete at Poland's leading international film showcase. Benedek Fliegauf's critically acclaimed ambient movie is to compete at Paris Cinema and will be showcased at FIDMarseille as well. The 43rd Karlovy Vary IFF has announced its line-up. The most important international film festival in Central Europe shows altogether seven Hungarian films including the big surprise hit of the latest Hungarian Film Week, Attila Gigor’s directorial debut, THE INVESTIGATOR in the main competition. Kornél Mundruczó's DELTA competes for European Parliament LUX Prize. Delta, Le silence de Lorna and Obcan Havel, the three finalists were chosen by a 17-member jury representing the cream of the EU film industry. 62nd Edinburgh IFF premiers Szabolcs Hajdu's latest feature, OFF HOLLYWOOD. THE EMIGRÉ, a film based on Márai Sándor's diaries will be shown at Filmfest München. VIRTUALLY A VIRGIN, the latest movie by Peter Bacso competes for 30th Moscow International Film Festival's St Georges. The annual Moscow showcase recognized by the FIPAF as a Category A fest begins on 19th June. 4 international awards during 10 days - ISKA'S JOURNEY a film by Csaba Bollók took the Visegrad Countries' Award at the 48th Zlin Film Festival, one of the oldest showcase focused on cinema for children and young audiences. Best Female Part Prize and Russian Film Critics’s Award of the ZERKALO festival devoted to the memory of Andrei Tarkovsky went to ISKA'S JOURNEY directed by Csaba Bollók. The FERA General Assembly held in Dublin elected István Szabó as its new President. Béla Paczolay's competition entry, the multi-generation ADVENTURERS, nine fresh pictures from Hungary and a selection of prestigious award winner Hungarian shorts enrich the Transilvania IFF program in Cluj. Kornél Mundruczó's DELTA won the FIPRESCI Prize in Cannes. The winner of Krzysztof Kieslowski TVP Award for Best Eastern and Central European Script of the second edition of ScripTeast was just announced at Film Festival in Cannes. Magyar Filmunió is proud to launch again the Hungarian meeting point on the Croisette between 14 – 25 May. International Critics’ Week presents Géza M. Tóth’s latest animation, ERGO, on the Croisette. Year by year altogether seven shorts and seven first feature films are invited to the oldest parallel section of the Cannes Film Festival. The Cannes Film Festival has unveiled the official selection for its 61st edition. At the press conference held in Paris the organizers announced that DELTA by Kornél Mundruczó is invited to the competition programme of the world’s most influential film event. 411-Z by Dániel Erdélyi has been selected for the short film competition. 22 of Europe's most ambitious young producers will be travelling to Cannes this year for EFP's programme PRODUCERS ON THE MOVE (May 17-20) at the international film festival. The Wiesbaden goEast! Festival of Eastern and Central European Film's Portrait now shows, together for the first time, all of the young directors full-length fictions together with one full-length documentary and five shorts. For its fourth edition, the Atelier of the Cinefondation selected 15 projects from 14 countries among them Benedek Fliegauf from Hungary. FeboiFest taking place in the Czech capital introduces three features by Ferenc Török as part of the "European Masters" portrait series. ISKA'S JOURNEY, a film by Csaba Bollók has been selected for the Prague movie fest's first competition program. Zoltán Kamondi won Best Director Award for his film, DOLINA at the Tiburon IFF in California ended 21 March. Hungarian director Tamás Tóth picked up the Best Director prize for his film WOLF at the European Independent Film Festival 2008 in Paris. DOLL NO. 639 was awarded the First Prize at the Genova X-Science Film Festival and ALTEREGO was prized with Best Fiction at the Aubagne International Film Festival in Provence. The Zürich Filmpodium devotes a one-month screening series to István Szabó. This evening TAKING SIDES is screened with the personal participation of the Academy Award winner Hungarian director. On Sunday evening the grandiose international film festival of Portugal ended with a triple Hungarian success in Porto on the Atlantic coast. Benedek Fliegauf’s ambient film enters for the competition programme of FICCO, the contemporary cinema festival in Mexico City. Don't miss any news about the Hungarian cinema, download the Newsletter of Magyar Filmunió! Nine Foreign Language Films Advance in 2007 Oscar® Race: Nine films will advance to the next round of voting in the Foreign Language Film category for the 80th Academy Awards®. Sixty-three films had originally qualified in the category. The 19th Trieste Film Festival pays tribute to the work of István Gaál. Beside three Hungarian short films and a documentary ISKA'S JOURNEY and THE TRAP take part at the feature competition programme.